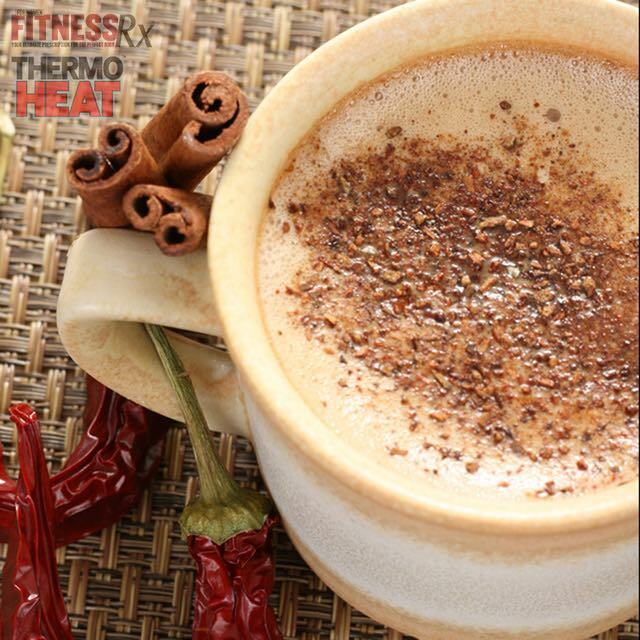 Indulge in a cup of hot cocoa without feeling an ounce of guilt! Is this something that appeals to you? I’m sure it does for those us who are currently, or are in the process of, seeking fitness as a way of life! How is this so? Well, there are several health benefits associated with cocoa! Now, add some extra spice and we’ve increased the health power of this delectable, hot, winter treat! See below bullet points for details. What’s even better is that this is so easy to make; as you will soon see, sometimes the simplest recipes can be the most rewarding! While exercise and a healthy diet and supplement regimen are the crucial components to this goal, there are certain thermogenic aids that we could incorporate. Thermogenic supplements are created to increase heat through metabolic stimulation, which in turn increases our energy expenditure and our potential ability to burn fat. Ultimately, the rate at which the body metabolizes fat cells determines how quickly we can gain or lose weight. Thermogenic products are great to assist in this process, but be sure to consult your physician before incorporating into your regime. • COCOA has more flavonoids (compounds with high antioxidant properties) than any known food. Two flavonoids in particular, catechin and epicatechin, are found in extremely high amounts in cocoa powder. The flavonoids help your body process nitric oxide, which is why hot cocoa can improve blood flow, help lower your blood pressure and improve heart health. • RED CHILI contains capsaicin, which is a thermogenic substance that may cause a temporary increase in your body’s ability to burn fuel such as fat to create heat, with beneficial impacts on metabolism and fat storage. Research suggests that consuming thermogenic ingredients may boost your metabolism by up to 5 percent, and increase fat burning by up to 16 percent. • CINNAMON may help to boost your metabolism, and it also has impressive benefits for blood sugar regulation, making it an ideal seasoning for people with diabetes or pre-diabetes. Cinnamon has been found to significantly reduce blood sugar levels, triglycerides, LDL (bad) cholesterol, and total cholesterol levels in people with type 2 diabetes. It has also been found to increase glucose metabolism by about 20 times, which would significantly improve your ability to regulate blood sugar. Place saucepan over medium heat and add cocoa, stevia, water, coconut oil, and salt and mix well. Stir constantly until mixture boils, approximately 2 minutes and then an additional 30 seconds once boiling. Stir in protein powder until smooth. Next stir in almond milk, vanilla extract, cinnamon, and chili powder. Stir until mixture is hot, but do not let boil, approximately 2-3 minutes. Pour into a mug and enjoy every sip!